Pierre Boulez said it couldn’t be recorded. George Crumb’s most ambitious work to date, Star-Child (1977), requiring four different conductors and 70 different percussion instruments, nevertheless made it onto compact disc on Bridge Records and won a 2001 Grammy Award. 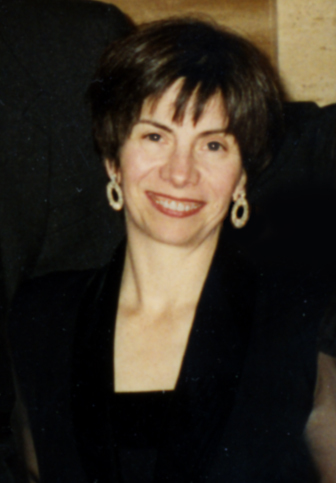 Leading the way was Becky Starobin, president of the label since 2006 and, until then, managing director. In an age when major labels pander to the masses, issuing little or no new classical repertoire, about half of Bridge Records’s catalogue consists of contemporary music, with a roster running from Elliott Carter and Charles Wuorinen to Hans Werner Henze and Henri Dutilleux. It also manages composers such as Crumb, Paul Lansky, and Danish native Poul Ruders. A trained violinist, Starobin, 63, has helped ensure an audience for composers whose works might otherwise be neglected, not only through recordings (a performance of Ruders’s Symphony No. 5 with the Danish National Radio Symphony Orchestra, part of a complete cycle, comes out in J2016) but also commissions: she played a role in conceiving Ruders’s organ symphony, Symphony No. 4 "An Organ Symphony." (2010), which has so far been performed by the Dallas Symphony Orchestra, City of Birmingham Symphony Orchestra, and Odense Symphony Orchestra. The mission of Bridge Records has not wavered since Starobin and her husband, guitarist David Starobin, founded it in 1981. Writing of their rationale, David Starobin cited “the need to create a wide-ranging forum for repertoire and performance—a home for the exceptionally interesting and challenging personality—performer and composer alike.” Upcoming projects include a recording of all Carlisle Floyd's major operas, a George Crumb 85th-birthday set, and the Paul Lansky cantata Contemplating Weather. Bridge is also making the transition to cyberspace thanks to the Starobins’ son, Rob, who oversees web distribution via platforms such as Spotify, iTunes, Archiv Music, and Amazon. Currently in the works is a digital-only compilation of the complete Beethoven Piano Sonatas performed by Garrick Ohlsson.